In order to the article of Griffon's IT Library, adding "unity" to .xsession will enable Unity remote desktop. This article will describe installing tigernvc and creating .xsession which call unity, some indicator and more. 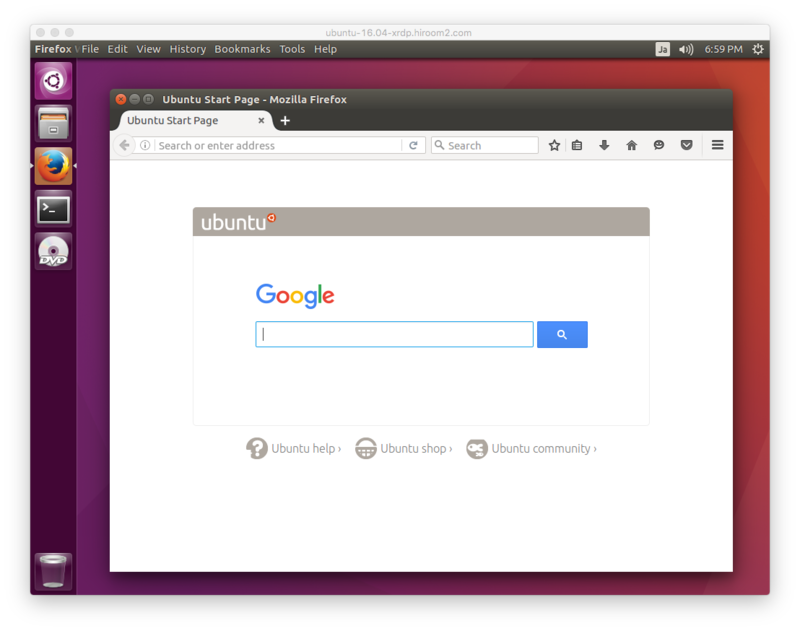 This will be similar with desktop on local machine. With this article's configuration, selecting "Sytem settings…" at the upper right will call gnome-control-center instead of unity-control-center. Add gnome-control-center which is symbolic link to unity-control-center. The "Microsoft Remote Desktop" connection is as the following.